Hi Josephine, thank you for joining me. Before we get into the question about why you started The Black Hair Book, can you tell me a bit more about yourself? 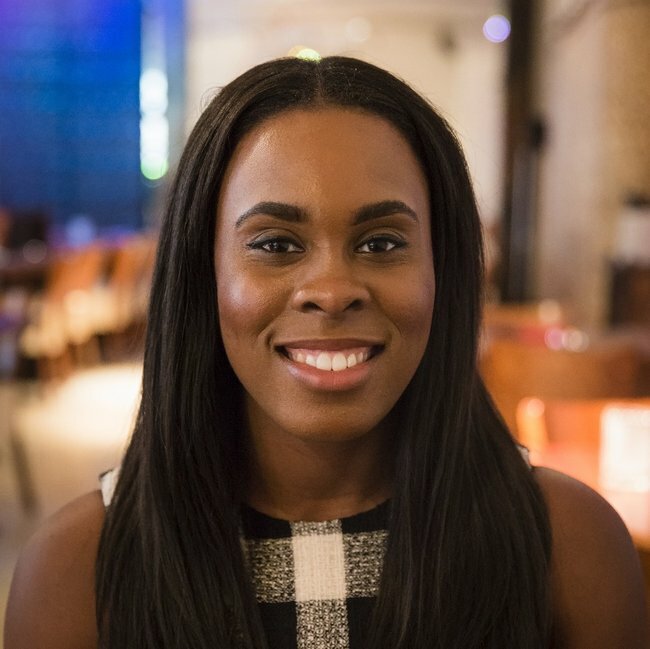 I am a 28 year old British-born Nigerian. I work full time as a financial crime consultant in the city. I have lived in 5 countries and was once fluent in five languages too! I love food and travelling. I grew up with my parents owning a hair salon and beauty supply store on Atlantic Road, Brixton from the 1990s to early 2000’s and although I have no hair styling skills myself I find it a happy coincidence that I have found myself back in the hair industry. I'm interested in learning more about how you list the salons on The Black Hair Book, do you approach them or do they approach you to be featured? It’s a trifecta, some salons list themselves – I have noticed some salons outside London list themselves as well. In some cases I have to do the B2B sales by directly by engaging salons over the phone or in person. In other cases I list salons known to have great quality of service. How do you keep up to date with the latest trends in hair care or new salons? Through social media, industry events, personal invitations and blogs. Some trends are big like the Black Panther movie and its implications for black visibility, others trends do not have as big an audience and I just discover them through research. 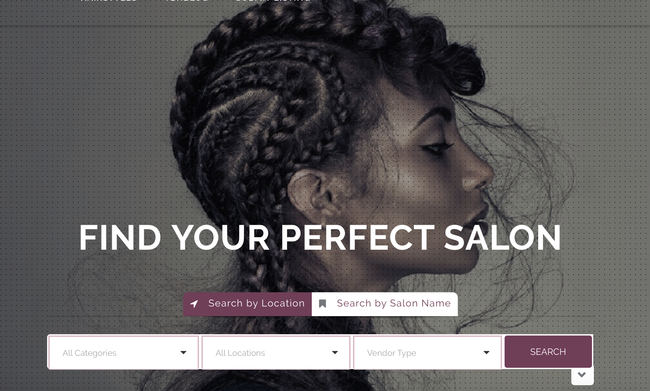 Your salon finder focuses on hair salons in London, are there any plans to expand to other regions? Definitely! We’ve already received enquiries about using TBHB in other cities. London is the pilot test, once we’re able to capture this market, TBHB will expand. I’ve noticed similar websites purporting a nationwide coverage but their salons outside London are few and far between which can be misleading. I want TBHB to move from city to city, country to country when the time is right. How do you find new hair salons to feature on your website? Social media, referrals, walking down the high street – you name it! Your website aims to tackle these issues by helping the customer make an informed decision before committing to a hair appointment. What are some of the challenges in finding a good hair salon? One of the biggest challenges is unfamiliarity. It’s very easy to become wary of new salons because you are placing your precious hair into their hands and hoping everything will be ok. At TBHB we pride ourselves in presenting the useful information customer’s need before making a hair appointment. Reviews also feed into the familiarity challenge. Reading reviews by past clients can be the ultimate deciding factor for a prospective client. Another major challenge is visibility. There is still a large number of salons/stylists with limited to no internet presence and in today’s world that can be very detrimental for a business. A social media account or website is the salon’s opportunity to showcase their skills and attract new customers. Can you tell us more about your partnership with Fair Hair Care - a worldwide, UK based ethical standards body for hair extensions? Fair Hair Care is a great company The Black Hair Book will be working with this year. At the moment we are still in talks about the way our partnership will take shape, but we hope to make an announcement later this year. Do you have any tips on how entrepreneurs could find partners? From my experience so far, I would place a strong emphasis on networking. With that being said, networking does have a tendency to become draining, so make sure the events you attend are important for the greater mission. What is the added value that the Black Hair Book has on customers? The Black Hair Book takes the word of mouth conversations and places them in the public sphere – making it accessible to all. TBHB helps customers make an informed decision by giving them an accurate description of the salon, their services, amenities and reviews from past clients. Reviews are so powerful in today’s world, whether we know the reviewer or not. And what’s better than one review? An aggregate of reviews! We see this in the biggest companies around today; Amazon, TripAdvisor, Just-Eat etc. Customers want the comfort of knowing they’re in good hands before they even see the hands and that’s where TBHB comes in. What advice do you have for startups who are interested in the hair industry? It’s a good idea to make contacts early on in the industry, they will be able to offer advice or connect you with helpful people. Also, find your niche - people will inevitably ask what makes your startup different/better/cheaper/more expensive than the next company and you need to be able to explain this accurately. I see TBHB forming partnerships with many more businesses in the hair industry in the UK and internationally. The struggle to find a great hair salon or stylist is not peculiar to the British shores, so it would be great to help women in different countries too.